At Wild Vibes, we invite you to join us for the ultimate day of creativity and community. 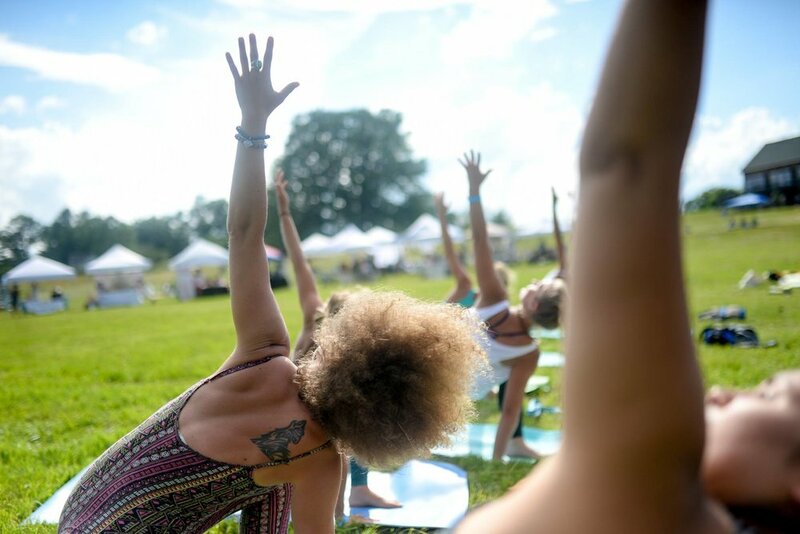 Celebrated as New England's favorite yoga, music, and arts festival, Wild Vibes features a diverse line-up of teachers, presenters, and performers. 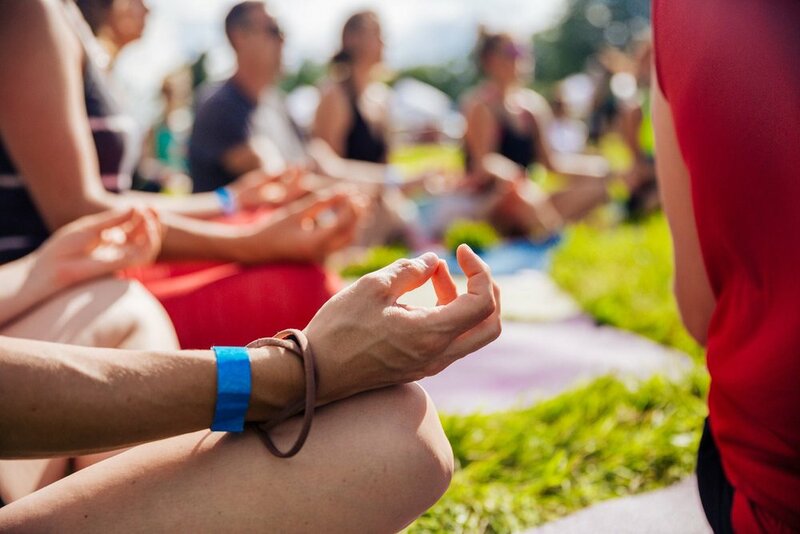 Experience a jam-packed day of live music, inspiring workshops, unique yoga classes, and local artisans. A kid-friendly event, Wild Vibes Festival offers something for everyone. A grassroots gathering that gives back in big ways, our mission is to bring the community together through all-inclusive and uplifting experiences. We unite every sound, beat, and movement to create an experience for you to feel free. A place where you don’t have to worry, a moment when you can be exactly who you are. Where strangers become your friends and creative cultures co-exist. A time to reconnect to nature and return to your natural state: wild. Wild Vibes was born on a hot summer day in 2014. We were inspired by the Seacoast’s natural beauty and the community’s abundance of yoga, music, and art, but also sensed a disconnect and separation-- not only within these creative cultures, but also within our community and ourselves. So we started to muse over an idea to change all that. That idea brought in a handful of people to the first ever Wild Vibes Festival held at Pierce Island in Portsmouth, New Hampshire. Although that gathering was small, something there felt really big. What had started as a dream to break down the walls of our vibrant art and holistic communities, soon became an annual festival that aims to bridge the gap, bring people together, and simply put: celebrate all the wild. 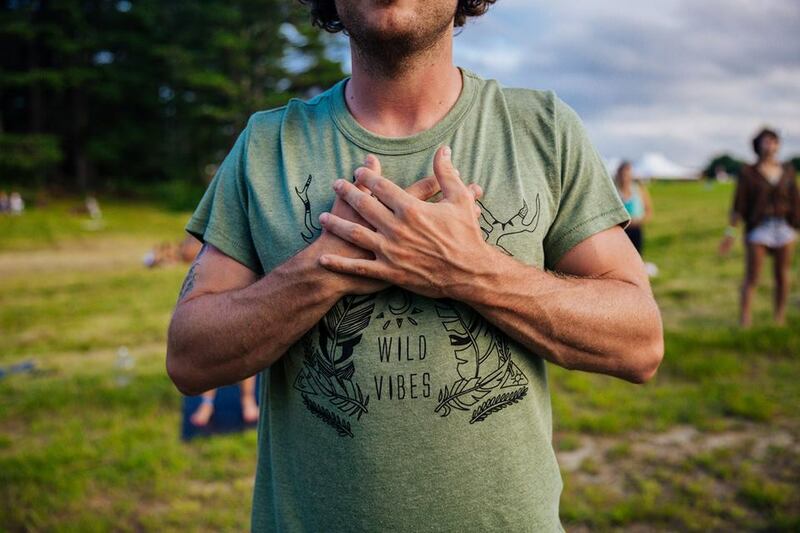 Wild Vibes has become a home where people return and arrive to year after year to share talents, to learn from one another, and to connect over the universal languages of yoga, music, and art that bring us all together. Founded on the principles of inclusivity, creative collaboration, kindness, and the celebration of our most natural state: wild — we believe that life is about connection and celebration. Since our first festival (shout out to our friends and family) in 2014, we have grown (thanks to an amazing team of volunteers and an incredible expanding community) into a movement, a festival, and a retreat company, connecting humans both locally and globally who choose to share, be, and live their wild. At Wild Vibes, you're invited, you are welcome here. Magnolia Barrett is a Seacoast native and Yoga teacher who loves to combine holistic healing with nature and art whenever possible. She teaches Yoga during the summers in Rye Beach and runs Yoga camps for Seacoast kids. "Respond to every call that excites your spirit"
AJ Govoni is an international Yoga teacher and holistic wellness trainer, leading events, retreats, and programs around the world. She's passionate about all things creative, holistic health, and bringing people together in unique and uplifting ways. Her free spirit endeavors will find her pursuing anything that involves the ocean, the open road, and collaborating with like-minded people from around the globe. Lauren Shea washed ashore to the Seacoast 6 years ago from Boston, to live among her favorite things - the ocean and the mountains. She operates her wellness business, Wild & Free Wellness, offering reiki, holistic health coaching, and yoga! Her mission is to help people feel empowered in living their fullest, happiest life; challenging them to discover the balance of strength and softness within their being. What she loves most about yoga is how "your mat becomes your mirror" - every time you step onto it there is a new reflection, real and raw. She loves spending time on the beach, playing with essential oils, and telling Dad jokes. She is beyond excited to share the new Healing Space with the Seacoast community, and hopes it opens new doors to self-compassion and connection to the Universe. "the cure for everything is salt water and great music"
Sarah’s New England roots run deep. Although her travels have brought her around the world, she continually finds her way back to her home in Portsmouth, NH close to all the things she loves most: friends, family, the mountains, and the beach. She’s full of passion to and for her community, always has a craft project and an adventure in the works, and never passes an opportunity to help visitors “live like a local”. Amanda Annicelli is an aspiring yoga and elementary teacher. She is passionate about branching the gap between youth and adults through awakening the mind, soul, and body. She seeks opportunities to deepen her knowledge and be apart of making a stronger community. "Aim for love in everything you do." Caring, compassionate, nurturing, empathetic, and supportive. Ocean lover sun worshiper, and moon follower. Yoga, dance, holistic health, and cooking enthusiast. Kristen is passionate in connecting the mind, body, breath, and spirt through physical movement. She grew up as a dancer, was a runner and cycler, and over the past years has found balance and spirituality through yoga. She is dedicated personal growth, reflection, and healing. She strives to shine her love and light in everything she does and encounters. "Listen deeply, love boundlessly, shine brightly"
Shelby Phoenix is a Seacoast, NH-based artist specializing in Custom Watercolor Portraits. As well as being an artist Shelby teaches art classes for Main Street Art in Newfields and manages Public Relations for the Dover, NH based non-profit Art group Wrong Brain. She is passionate about creating platforms to make local art visible and accessible to the general public. She is excited to apply her skills to Wild Vibes to create an immersive, and interactive art experience. "Experience life in all possible ways."